With a focus on comfort and S3 safety, Solid Gear’s Falcon and Apollo boots are probably the most robust boots you can get for the winter months. With durable uppers, these heavy-duty boots will keep your feet dry and insulated so you can work comfortably in the roughest conditions on site. What’s more, the new oil and slip resistant Vibram soles deliver outstanding grip on snow and ice – even at low temperatures. The Apollo has a premium full-grain impregnated leather upper, while the Falcon is a mix of full grain leather and a Cordura Rip Stop fabric. Both boots deliver better water repellency and breathability than many other boots, while their fiberglass toecaps feature multilayer technology for a roomier toe box, with the new thinner and stronger composite plates adding extra flexibility. 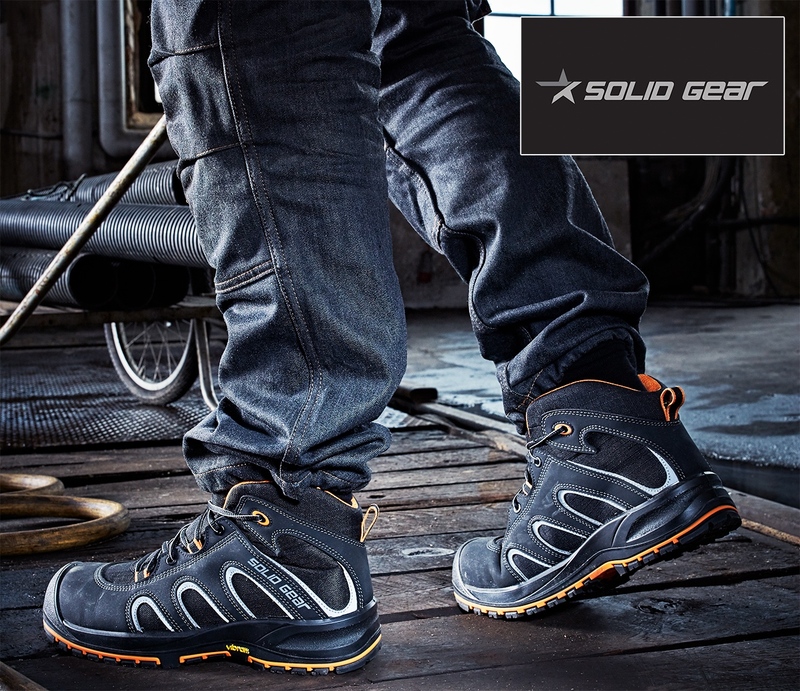 There’s over 30 boots and shoes in the Solid Gear Safety Footwear range, all of which integrate modern designs and sporty looks with best in class materials for comfort, protection and durability.